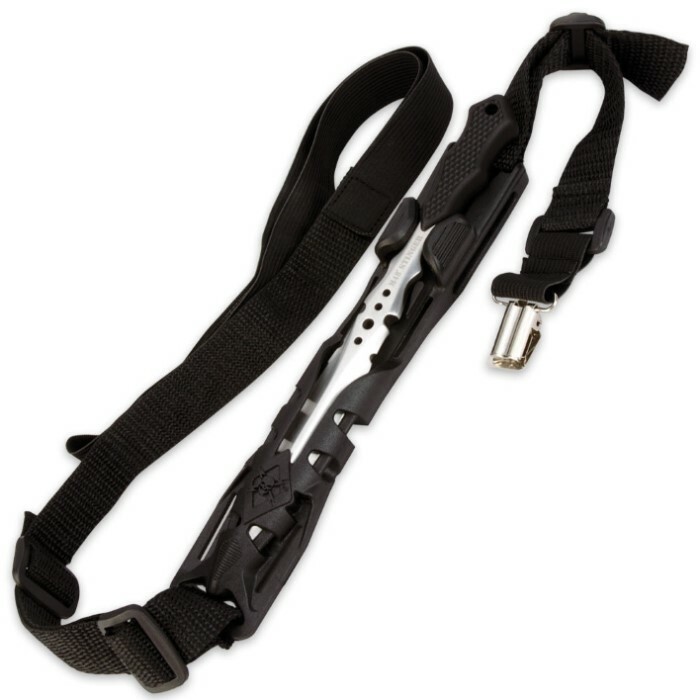 M48 Stinger Urban Dagger With Shoulder Harness | BUDK.com - Knives & Swords At The Lowest Prices! 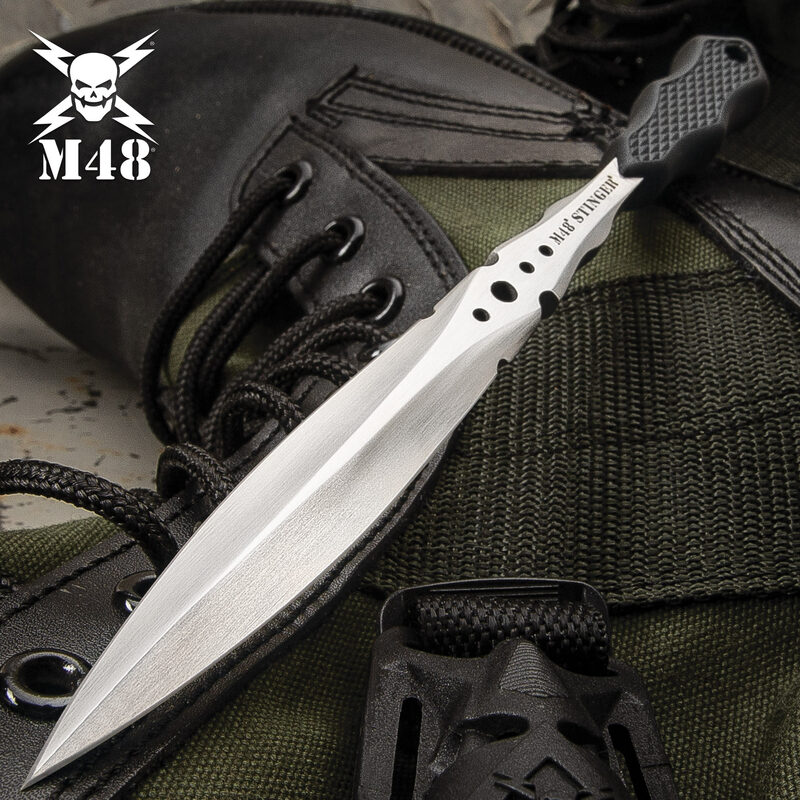 Brand new from United Cutlery, this double-edged M48 Stinger Urban Dagger features rock-solid 2Cr13 stainless steel construction with a razor-sharp edge and a point that will effortlessly pierce practically anything. This top-quality, spike-like dagger won’t bend or break like cheap imitations. 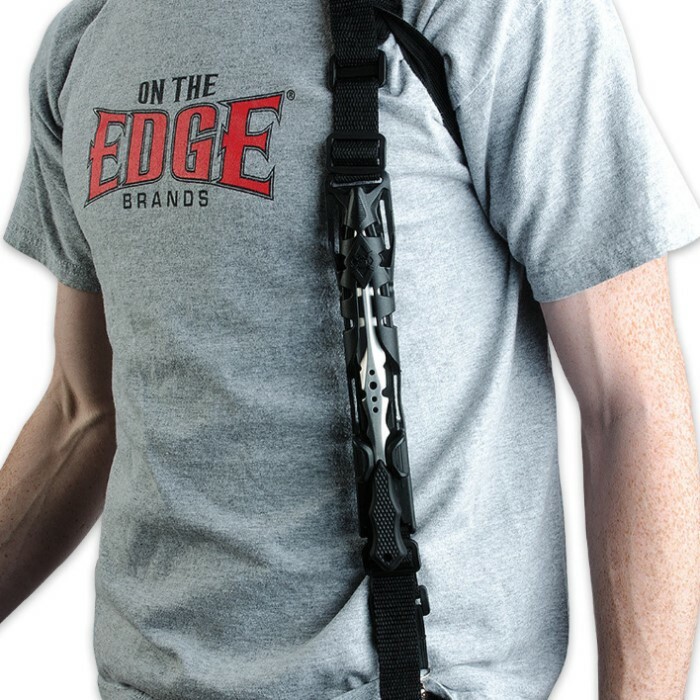 The rubberized, textured handle provides a sure grip so you can wield this stinger confidently, and the rubberized shoulder sheath will house it securely. Whether you want to use this dagger for easily concealed, discreet personal protection or simply for recreational throwing, it won’t let you down. This is a very nice vey solid blade. Worth the money. My only complaints are these: It looks bigger in the pics than it is. Even the video. If it were just 33% larger all around, it would be perfect The point is as sharp as a pin. But the blades edges are dull. The blade is so thick and it's at an unusual angle making sharpening it quite difficult. No pics or offer for a hip placement tethering is annoying as I might not wish to have this over my shoulder and it's mentioned in the description. Other than these points, I think the Stinger is a pretty tough high quality item. When I first pulled it out of the box, I thought to myself: if the zombie apocolypse happens this would be the best item for poking hole through skull to get to that brain stem. Also perfect for ritual sacrifices and killings. This is a good item.